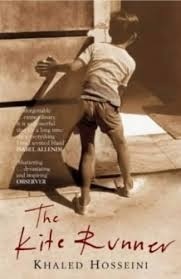 The Kite Runner by Khaled Hosseini is one of the best books I have read in a long time. Khaled is a perfect story teller. Am sure one would be glued to the book till the last page. Afghanistan's history, culture is beautifully portrayed. Most interesting part is when the story takes a sudden twist with Amir meeting Rahim Khan. The one character that everyone would look up to is Hassan. If you haven't read, I would suggest you to.